Michael Brooks is a Tennessee dad whose children were taken from him by Child Protective Services after he used medical cannabis to treat his Hepatitis C. After conventional medical treatments failed to cure his terminal Hepatitis C, he turned to medical cannabis and soon his Hepatitis C was in remission. But unfortunately, Tennessee DCS used his medical cannabis treatment as a reason to take away his children. 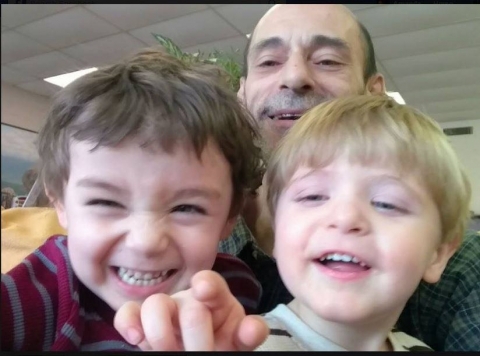 His health deteriorated rapidly when he stopped using the treatment in the attempt to comply with requirements by Tennessee Department of Children’s Services (DCS) in order to get his children back. He was set to have his rights terminated last month, but his case was continued. Michael took to Facebook Live on June 26, 2017, to record a video for his followers, and it looks like things may be turning around for the Brooks family. His health has begun to improve and there is again hope of his getting visitation back. On Facebook Live, Michael said that he had been taking CBD oil, or cannabidiol oil and Moringa oil for the past two weeks. CBD oil is legal in all 50 states, as it contains almost no THC, the chemical that gets one "high." His body has responded so well that he has been able to throw away his other 20 medications. In the Facebook Live video, Michael Brooks said that he expects to go to court on July 19, and he is hopeful about getting visitation with his children back.